Designed to help employees pay for additional higher education, a corporate tuition reimbursement program is generally run through a company’s human resource department. The biggest benefit of this type of program is that you do not have to pay the tuition back since it is not a loan. Most companies will require specific fields of study because they want the employee to learn skills that are applicable to their business. Therefore, it is important to make sure that your desired courses fall under the parameters that your company has set in order to qualify for the financial assistance. Many Canadian colleges and universities are making going back to school easier for those who want to move their career forward. With a variety of school-specific financial aid packages available, it pays to shop around and find the best school for your needs. A specialized degree program can be paid for by school-specific financial aid offerings. For example, this college provides a Nurse Faculty Loan Program for their nursing students, making going back to school easier for those who want to move their career forward. There are a variety of scholarships available to deserving students. This can be an ideal way to pay for your schooling since it is merit-based. This article explains that some of the most beneficial scholarships include the Donald A. Wehrung International Student Award, the Lester B. Pearson International Scholarship Program at the University of Toronto, and the York World Scholars. 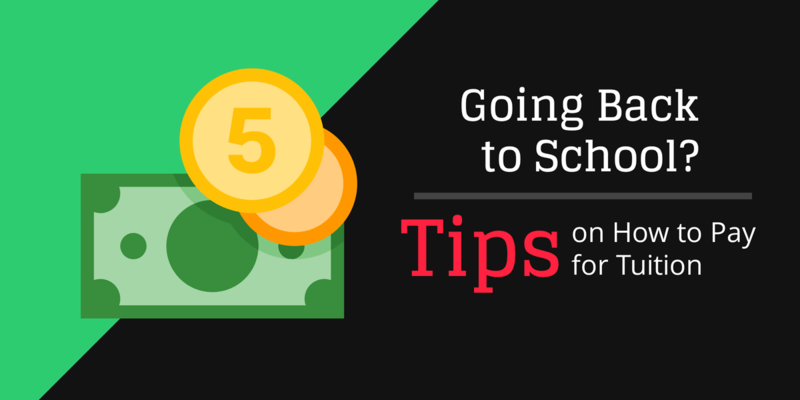 Although it takes effort and patience to wade through the large database of potential scholarships, taking the time to do so can save you an exponential amount of money. You should not let a lack of money keep you from pursuing your dreams of going back to school. With so many financial aid options available, the key is finding the right fit for your personal needs and situation.